After a week long hiatus due to an absolutely terrible cold that I caught at the tail end of the previous week I am finally smoking cigars again and back here with a super fun blind trade. Recently Daniel roped me in on a little blind trade action that he was setting up. Basically the way it worked was we were to exchange cigars with someone chosen at random. 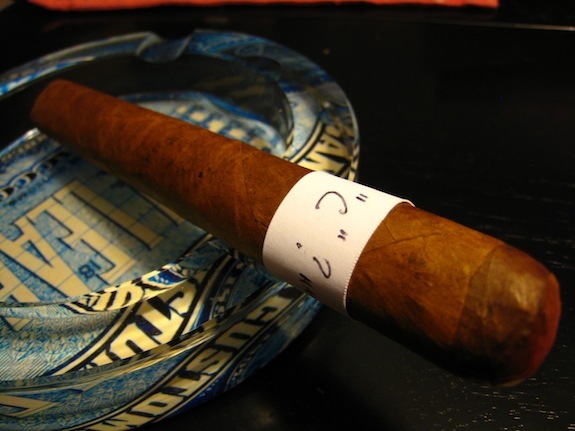 The cigars were to be 1 Criollo/Corojo labeled “C”, 2 value sticks (under $6) and 2 premium cigars (over $6). I was lucky enough to hook up with a buddy of mine, Hogman21 on twitter, better knows as Mike from MikesStogies.com. If you haven’t checked out his site, drop in and show him some comment love. He’s got a hell of a fun insight on cigars, great selection, honest reviews, and a badass accent. Any who, these will be ridiculously loose reviews with only the high and low notes from the cigars. I will finish each one of with my guess on what cigar it was and then the actual cigar in question. This was a hell of a humbling experience and showed me that what I throught is true; I know nothing about cigars. Prepare for some foot-in-mouth action as I take on a few smokes that had I known what they were, I probably would have never picked up and smoked for myself. – Subtle, sharp spice notes into the last third. This cigar was dead on. I really enjoyed it. The mild, smoothness mixed with the bolder, easy to decipher flavors made for a perfect, relaxing cigar. My first guess was the Punch Rare Corojo, but it didn’t pack enough flavor. My final Guess was CAO’s Criollo. Country, Honduras/Dominican Republic. Which cigar was it? – Super bright, extremely tightly compacted ash. It held on for almost 2 inches. This cigar started out awesome but quickly went downhill. If it’s a value stick it’s totally worth it, but it would be nice to see it in a smaller size. My guess? First thought was an Illusione Epernay but the flavor would have stayed consistent all the way through. Country, Nicaragua. Which was it? – No harshness built up towards the end. 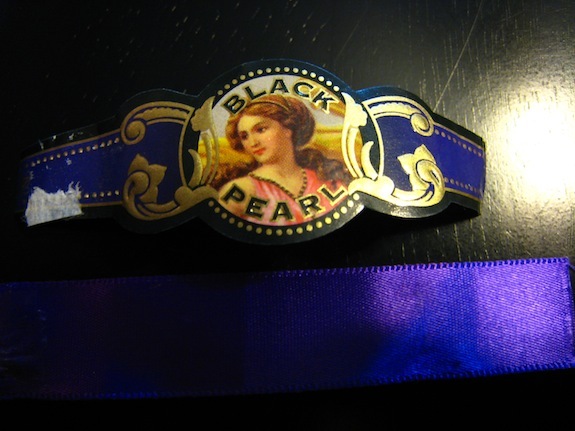 This cigar was right up my alley and I know I have had this before. One of the better Maduro cigars. 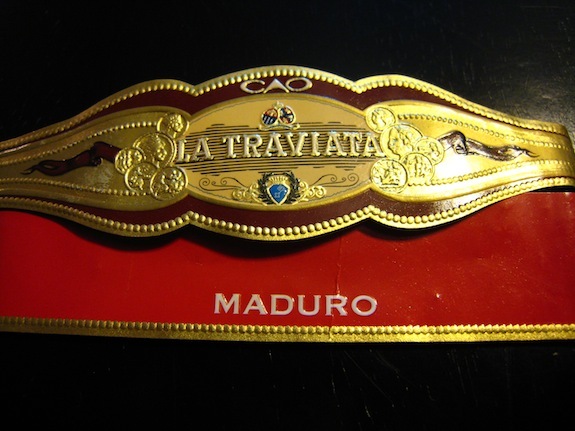 Final guess – Either the CAO Traviata Maduro or the CAO MX3. Country, Nicaragua. How close was I? This cigar was unfulfilling but may be perfect for an early morning smoke. Very smooth with no harshness at all. My guess? 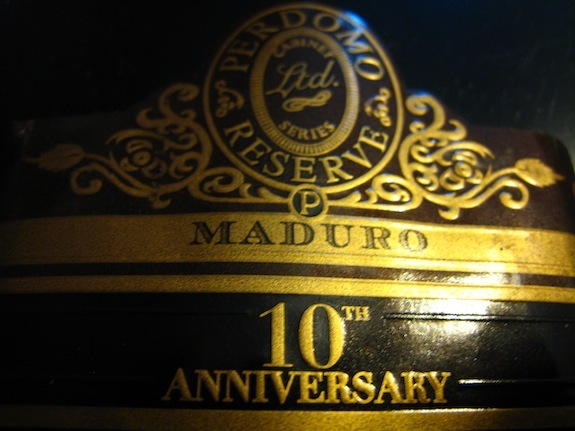 Oliva Serie O Maduro – Country, Nicaragua. What cigar was it? This was a very pleasant cigar. I really enjoyed the complex flavors, mid-ranged to higher body, and effortless experience. My guess – A. Fuente – Country, I haven’t the slighted idea. What could this cigar be? 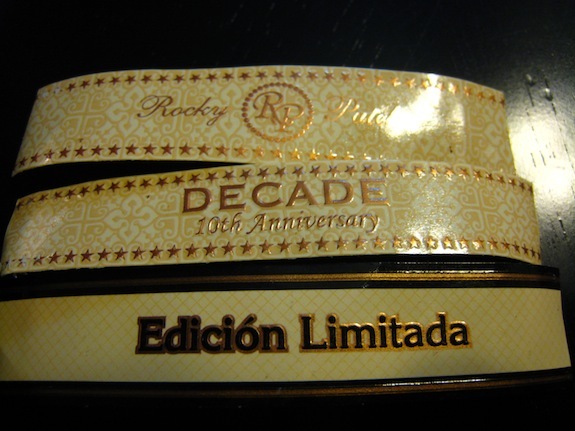 I often say that Rocky Patel hasn’t really made many cigars that have been able to catch my attention. No matter what, I always remain open-minded. I just have had too many of their cigars that I hadn’t liked. I don’t want to go out and spend money on a stick that odds are I’m not going to be into. If anything, Mike’s selection really has me second guessing my decision to ignore the brand. Blind reviews are the perfect example on subjectivity and just how much the mental notes about a brand can make an impression on taste/flavor and overall purchase. No matter how transparent one may think they are, there is always a bit of favortism in there. I had so much fun with this blind review. It just goes to show just how hard it is to really nail down any given cigar. I was actually impressed with how close I got on a few of these sticks. I figured I’d be way the heck off. The country is probably the easiest characteristic to pick up. Now comes a few questions. Is this something you have done? How did you enjoy it? Would you like to see more blind reviews? This has something that has came up in the past. I know that these are uber-bareboned reviews but if you are interested in seeing more in-depth blind reviews, let us know! On a side note, we have some awesome things coming up on the site VERY soon. We have another giveaway sponsored by Bonita Smoke Shop, and our thoughts on the top ten cigars of the year! Stay tuned. Tony first off I want to say thanks for the shout out really means a lot. Second I was hhappy that we both got to exchnage cigars and this is a great way to revisit smokes you may not have tried or liked. I am glad you enjoy them and I appreciate your friendship. Ps what accent lol, great write up. Likewise man, it was a lot of fun! You totally have a “New York” style accent man!!! HAHA! Thanks again bro! I told you about some of the Rocky Patel’s. I am personally not a huge fan of Rocky Patel, but I have tried quit a few to know that he does have some good stuff out there. Just like the Sun Grown. Victor, I’ve never been a fan of anything but that sun grown, up until now at least. My hesitation is the Like to Dislike ratio. If I pick up one of his sticks there is more of a chance that I will dislike it than like it. But these two contenders showed that there is totally still a shot with this brand. Hopefuly I’ll be lucky enough to stumble into more of his blends that suit my pallet! Smoking anything good for the hoidays? I have a 601 Blue that is waiting for me, plus a couple more that I’ve been wanting to try that we got from the Big Smoke. I got a CAO Travieta Maduro from the Big Smoke and I’m really looking forward to smoking that one, especially after I read your review. Yes! Love the blind reviews. It just goes to show how much we smoke (or eat for that matter)with our eyes. At that point I take the cigar apart and pull out what amounts to kindling. I love those Vic! They are super cheap too! Perfect value line cigar. Enjoy ! Oh man I’d love to! Lets do it! I’m just not sure I’d be on par with you calibre of smokes Brooks! I always loved reading your blind reviews and I was just glad I finally got to try one out myself. It’s crazy how much something as simple as a band could possibly, totally change your outlook of a cigar! Nice review. 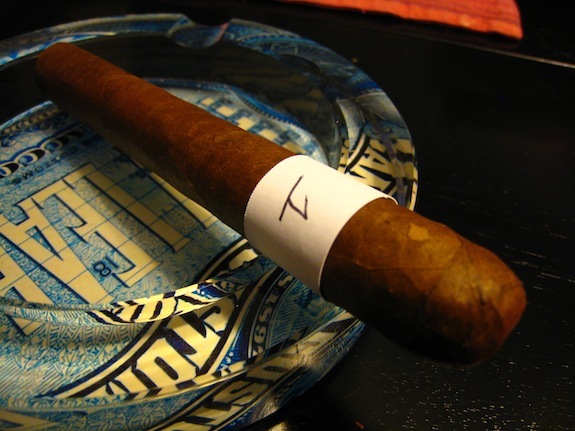 It is amazing what smoking a cigar blind can do to your thoughts on a particular brand. I need to smoke more blind if for no other reason than to find a hidden gem or two. Thanks for the insight. Great reviews. I love the blind review because it not only heightens the experience but also opens one mind to other over looked sticks. I don’t care for much of R.P. 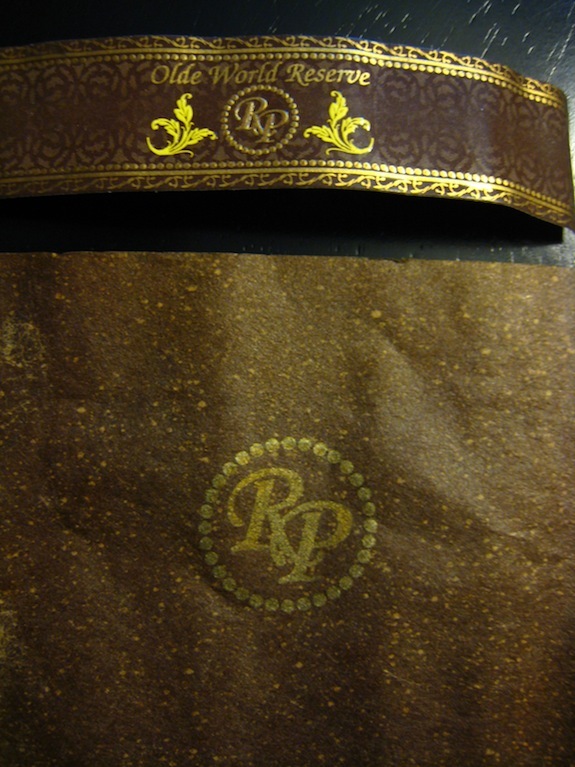 cigars but I do enjoy the RP Old World Reserve Corojo and they only get better with age. @DaByrdman33 – somehow your comment slipped past me, undetected 🙂 Thanks for the read. If you ever want to do a blind trade let me know! @Sticks – Yeah the blind stuff was extremely fun. Oddly it is making me go back and smoke a few of the Rocky Patels that I have passed up. Hopefully that’s a good thing! I love blind tastings like this! 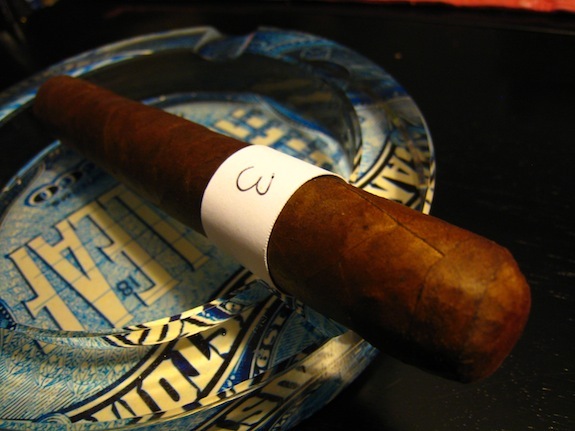 In fact, as a method of cigar reviews its pretty cool, too, because as you noted, it really opens up your mind as to what each cigar truly has to offer. I was lucky enough to win a spot on Smoke Magazine’s blind tasting review board one year, and I totally loved it! [Of course, who wouldn’t love getting 12-20 free cigars?!!!!] I was still relatively new to cigar reviews, but boy did I learn alot! Maybe there’s a way you can include your readers into some blind tastings as part of a group review.